Plainridge Park Casino opened in June. Gambling revenue at Plainridge Park Casino, the state’s first casino, slipped significantly in September, marking the second straight monthly decline since the facility opened on June 24. Plainridge’s daily revenue per machine was $280 in September, down from $390 in July and $330 in August, according to data released on Thursday. The numbers have generated considerable uncertainty about whether Plainridge can hit the $200 million in annual revenue projected before its opening by the state Gaming Commission. In its first full quarter, Plainridge grossed $46 million, which projects to $184 million for a full year. 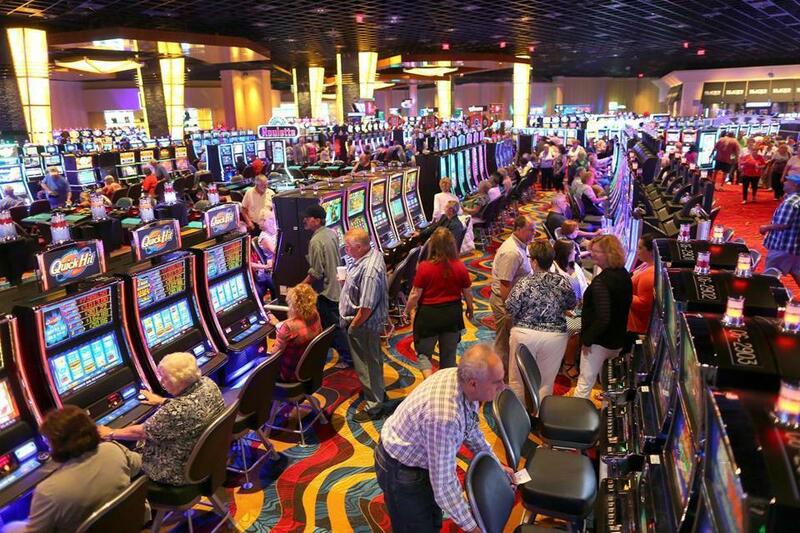 Spectacular was how Plainridge opened: The casino rang up $6.1 million in revenue between June 24 and June 30, or about $580 a day for each of its 1,500 slot and video machines. That amount rocketed Plainridge into the company of the very highest grossing casinos in the country. With $24.3 million in slot machine revenue collected from June 24 through July 31, nearly $10 million has gone to aid for cities and towns. Lance George, Plainridge Park Casino general manager, cast the September slip in revenue as a normal let-down after a gala opening, and predicted a rebound. Massachusetts is in effect a senior partner in the facility, which is located in Plainville, about 35 miles southwest of Boston. Under the 2011 state casino law, Plainridge pays the state 49 percent of its gambling revenue, most of which goes to aid to towns and cities; the remainder supports the state’s struggling horse-racing industry. Barrow said the fast start at Plainridge may be attributed to “a curiosity factor,” as crowds checked out the new facility. 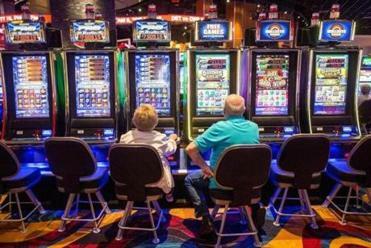 He said Plainridge’s September figure of $280 per machine “is still very healthy” as it competes with the much larger Foxwoods Resorts and Mohegan Sun casinos in Connecticut, which have about 5,000 slot machines each, and Twin River in Rhode Island, which has about 4,300 machines. But if daily, per-machine revenue settled at the September level of $280, annual revenue would come in quite a bit lower than the present projection of $200 million a year. For a 12 month period, $280 per machine at Plainridge would produce $147 million in revenue, or 26 percent less than currently projected. The state Gaming Commission declined comment on the September revenues, but noted that the casino so far has provided $25 million in tax revenue to the state. Plainridge is expected to take a hit when two much larger casinos licensed in Massachusetts open: Wynn Resorts in Everett, and MGM Resorts in Springfield, both in 2018.